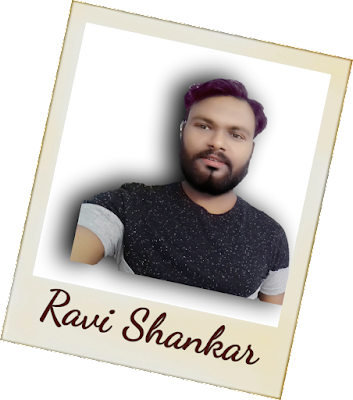 Namaskar Doston Gyano Tech Par aap sabhi ka swagat hai.Dosto aaj main aapko batane wala hu ki kaise aap apne disabled Adsense Account ko Re enable kar sakte hai to is post ko bahut dhyan se read kariye . Doston sabse pahle hum ye jaan lete hai ki humara adsense disabled kyu hota hai.To uske liye main apko bata du ki agar aap koi blog/website chalate ho ya apka Youtube ka channel hai ya apka koi App hai jispe aap Adsense Ya Admob ka code lagaye ho. Aur aap uspe kuchh aisi gatividhi kar rahe ho jo google ki nazar mein thik nahi hai aur Adsense ke policy ke khilaf hai,To us paristithi mein apka google ka adsense Disabled kar diya jata hai . Lekin agar aap apne kaam par dhyan dete rahenge aur lagatar kaam karte rahenge to kuchh time ke baad aapka Google Adsense Dubara ReInstate ho sakta hai. HUM APNE WEBSITE/BLOG KA SEO KAISE KAREIN ? Uske liye apko Invalid Activity appeal karni padegi jiske liye aapko Form fill karke Google ko send karna padega.Aap is link par click karke Direct Invalid Activity appeal Form par jaa sakte hain. Lekin ab aap sochenge ki isko fill kaise karenge to main us form mein pooche gaye har sawal jawab yaha de raha hu aap chahein to copy kar sakte hain. Q.1. How do users get to your site, mobile app, and/or YouTube channel? How do you promote your content? Q.2. Have you or your site, mobile app, and/or YouTube channel ever violated the AdSense program policies or Terms & Conditions? If so, how? Answer: have not had any invalid snap movement before this. These infringement likewise because of my missteps, and happened unconsciously or because of carelessness. I don't me unwittingly. Q.3. What was the reason for invalid activity on your site, mobile app, and/or YouTube channel? Please provide detailed information about all specific reasons that you believe to be relevant in your case. Answer: From my perspectives the primary purpose behind my record repudiated may be " the My Competitor Might have done some invalid exercises or there may be a few people who don't have appropriate learning on the most proficient method to utilize the application. This may be the explanation behind my record deactivation. Q.4. What changes will you implement to help improve ad traffic quality on your site, mobile app, and/or YouTube channel? Answer: As a matter of first importance, I truly apologize for any invalid action and denounce like these exercises and furthermore for those slip-ups which occurred by accidentally and my carelessness. Further now, I guarantee adsense to be certified AdSense accomplice. I began utilizing Adsense association about a month back and attempted my best to do and legitimate exercises. 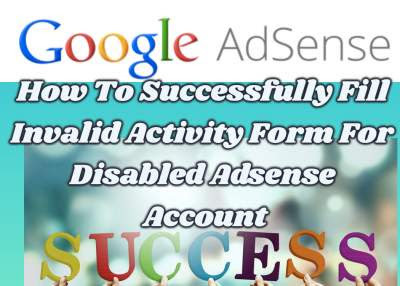 On the off chance that my Adsense is restarted I will do everything as indicated by AdSense strategies and attempt to make tracks in an opposite direction from any invalid movement which disregards any term and condition. Q.5. Please include any data from your site, mobile app, and/or YouTube channel traffic logs or reports that indicate suspicious IP addresses, referrers, or requests which could explain invalid activity. Answer: Dear Google, this is the first occasion when that my AdSense account is incapacitated because of like this invalid snaps movement, I couldn't record my suspicious IP address, traffic log and reports. I likewise apologize again for this carelessness as well. As must as I think about my site or AdSense I have referenced. I just intrigue to disregard any server or light invalid movement to my record and give me first and last opportunity to work appropriately on my AdSense account. I acknowledge my slip-ups which occurred by accidentally and my negligence. TRo doston itna likhne ke baad aap apna form submit kar dein aur iske 72 ghante mein apko jawab aa jayega aur apka Google Adsense Accound Reinstate ho jayega . I hope ki apko ye post kafi helpful lagi hogi.Aur agar apka Adsense disabled ho gaya hai to apko best of luck ki jaldi se apka adsense re enable ho jaye . Is post ko read karne ke liye apka bahut bahut dhanyavad.